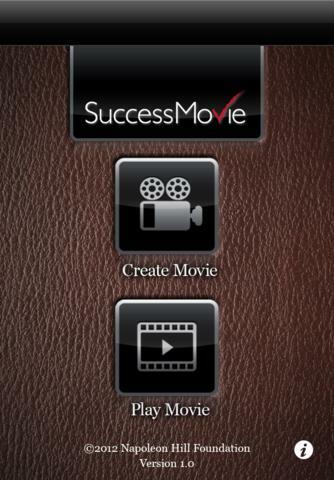 “Direct Your Success” with the SUCCESS MOVIE app. The first Official Napoleon Hill Foundation app which allows you to build a movie by creating clips using inspirational and empowering photos, messages and music, to help you to conceive, believe and achieve your SUCCESS using the universal principles founded by Dr Napoleon Hill. Can you… DIRECT YOUR SUCCESS? 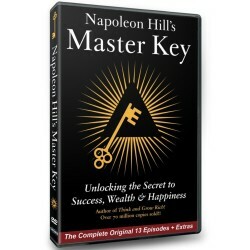 This is the first Official Napoleon Hill Foundation app, SUCCESS MOVIE, which aims to help you to attract success in all areas of your life. The app is built on the powerful universal principle… “What the mind of a man can conceive and believe, he can achieve”, founded by Dr Napoleon Hill, author of the World bestseller <em>Think &amp; Grow Rich</em>. This is the first Official Napoleon Hill Foundation app, SUCCESS MOVIE, which aims to help you to attract success in all areas of your life. The app is built on the powerful universal principle… “What the mind of a man can conceive and believe, he can achieve”, founded by Dr Napoleon Hill, author of the World bestseller Think & Grow Rich. 3. Play back your movie to help you to conceive, believe and achieve your SUCCESS!!! 9. Ultimately leading to a positive change in your mental attitude to conceive, believe and achieve your SUCCESS!! !